Reduce your customer's losses from power outages. Supported by one of the best commercial warranty in the industry and an easy monitoring system, the 35 kW1 Commercial Generator offers more options for businesses with increasing electrical demands. 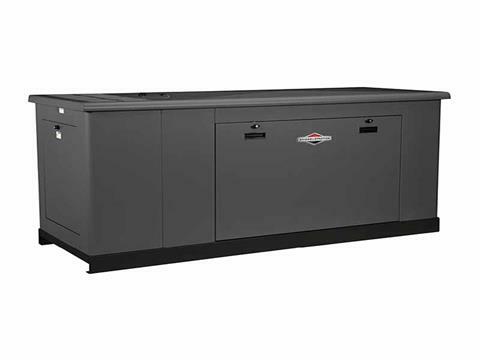 LONGER PRODUCT LIFE: Maximize your investment with a standby generator that can stand the test of time. 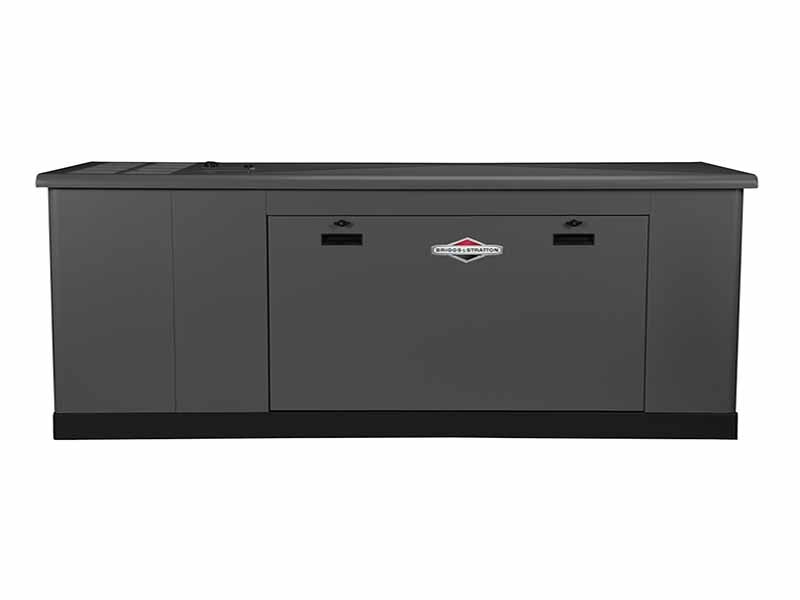 Designed for longer product life and budget-friendly operation, Briggs & Stratton standby generators have low speed 1,800 RPM liquid cooled engines, limited temperature rise on the alternator and corrosion-resistant, all-metal enclosures. EASIER TO SERVICE: Convenient access points make it easier for technicians to service. Immediate access to the entire engine can be reached without time-consuming disassembly. SMALL BUSINESSES: Ideal for small businesses, this Briggs & Stratton Commercial Standby Generator helps you automatically power your business’ essential electrical loads. CORROSION-RESISTANG ALUMINUM ENCLOSURE: Durable aluminum enclosure that is build to last. Protects against extreme weather conditions and corrosion. NFPA 110 CAPABLE: Suitable for NFPA 110 applications when installed with the compatible NFPA 110 accessories and installation methods.